My biggest influence is Thomas Sowell. He defined an intellectual as "one whose output begins and ends with ideas ~ Wisdom = intellect, knowledge, experience and judgement." 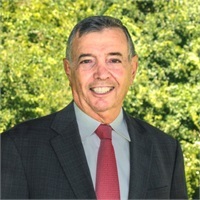 Thomas Cappucci started his career as an educator with a focus in finance, business and economics. After leaving the classroom, Tom joined Strategic Financial Partners in 1994. In 2007, Tom, his son Dan and their close colleague, Andrew Cleary became the founding Partners of SFP Wealth. As a seasoned financial planner, Tom provides innovative solutions, focusing on estate, retirement, business and succession planning for individuals, business owners and their families. Tom holds the CERTIFIED FINANCIAL PLANNER™ (CFP®) designation, Series 6,7, 63 and 65 and the Producers Life, Accident and Health or Sickness licenses. Tom is an active member of the Financial Planning Association and is a former adjunct faculty member at Bentley University. He is also a real estate developer, small business consultant, CEO and CFO of several Venture Companies. Tom resides in Lincoln, MA and is an avid reader, writer and musician. During his snowbird months in Florida, he enjoys golfing, swimming, cycling and socializing with friends. His greatest joy is to spend time with his beautiful grandchildren.